When I wrote The Protectors Series (Dangerous Pursuit, Dangerous Interlude and Dangerous Paradise), I wanted to showcase places I had been to in a story. I love traveling and using tidbits I’ve learned in my travels. In Dangerous Paradise, my husband and I went to Oahu, Hawaii and I was able to spend some time with a friend who was part Hawaiian and part Swedish and her large family. The scene at the Fourth of July picnic was similar to what my husband and I did with my friend. What I loved was it was for the locals more than tourist. The scene in Dangerous Paradise on the beach on the Fourth of July was where we went to swim several times. It was around the corner from where we stayed. It was amazing to think only six months later in the winter, surfers would be riding in huge waves and the beach where I was would be under water. I’ve seen pictures of it on television and it isn’t the same place in the winter months. I’m giving away two free ebook copies of Dangerous Paradise to commenters. Where have you gone that has been special to you or an experience you’d like seen written in a book? Margaret Daley, an award-winning author of eighty-six books, has been married for over forty years and is a firm believer in romance and love. When she isn’t traveling, she’s writing love stories, often with a suspense thread and corralling her three cats that think they rule her household. To find out more about Margaret visit her website, Facebook and Twitter. Newly released, Dangerous Paradise, is the third book in The Protectors Series. The first book is Dangerous Pursuit and the second book is Dangerous Interlude. What a beautiful cover! And what a cool idea, writing books about places you've been….it must add such authentic details. I LOVE your books! Thanks, Roxanne. A lot of the second book (Dangerous Interlude) happened to me when I was in Austria--except the kidnapping part. I agree, what a neat idea to write about places you've been to, and what a fabulous excuse to travel! Being a Kiwi, I love seeing my own country in books - so familiar and fabulous. Joanne, I guess I didn't hit the return button. My post didn't appear when I thought it would. Joanne, you are one of my winner of Dangerous Paradise. Please email me for a free coupon from Smashwords for Dangerous Paradise. My email is margaretdaley at gmail dot com. I've always wanted to visit Hawaii. But it is a very long way for me--all the way from England! I also use places I visit as inspiration for stories. It is a great excuse to travel! Helen, thanks for stopping by and leaving a comment. You are one of my winners. 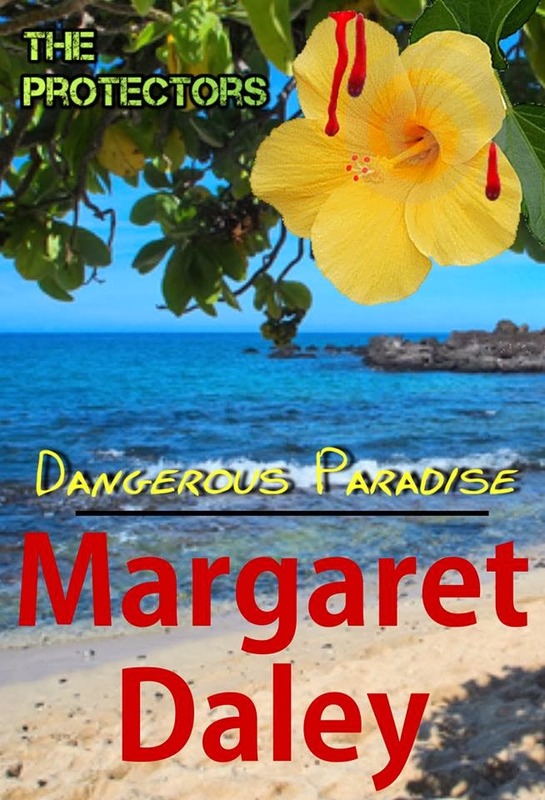 Please email me for a free coupon from Smashwords for Dangerous Paradise. My email is margaretdaley at gmail dot com.